Point2 Homes gives you far more than a simple list of houses for sale. Get instant access to a lot of relevant information about Edmonton, AB real estate, including property descriptions, virtual tours, maps and photos. The search results pages also have a wealth of information on Edmonton, AB, if you scroll all the way down. There are houses for sale in Edmonton, AB. 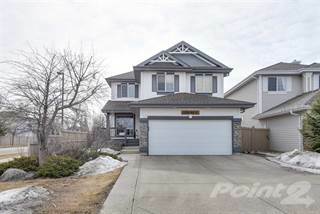 Searching homes for sale in Edmonton, AB has never been more convenient. 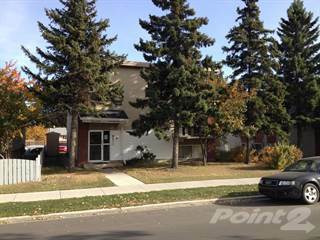 With Point2 Homes, you can easily browse through Edmonton, AB single family homes for sale, townhomes, condos and commercial properties, and quickly get a general perspective of the real estate prices. Also, you’ll never miss a bargain if you filter listings based on house price drops in the past six months. Use the map view to find Edmonton, AB homes and apartments for sale, based on amenities or city features that you may want close by. You can close in on a specific neighbourhood or area by simply drawing around them with the polygon or radius tools. Stay informed about the latest entries on the real estate market by saving your searches. This way, you get new listings in your inbox, daily or every week, based on your preferences. If you’d like to get in touch with a professional, agents are displayed next to their listings, and they’re easy to contact through the online forms. If you want more options, you can click the Tools tab and Find an Agent, and you’ll get a list of helpful and knowledgeable real estate agents in Edmonton, AB. Visit the Point2 Homes blog and you can find up to date expert advice on many markets throughout Canada, regular market reports, neighbourhood scoops in cities throughout the provinces, real estate deals and useful recommendations. It currently has a population of around 960,000 people and the metro area takes up 9,420 square kilometers of land. As the second largest city in the province, it has seen high population growth rates of at least 8% within the past decade and sometimes more depending on the year in question. It is commonly nicknamed as Canada's "Festival City" due to the fact that it offers multiple festivals during the course of the year, one after the other. Edmonton is heralded by many economists as the "oil capital" of Canada due to the abundance of jobs and projects that this city hosts in the gas and oil industries. These two industries alone account for 60% of the monetary value of all the major industrial projects that are underway within the city. In recent times, Edmonton has seen a huge surge in the technology and finance sectors with respect to jobs and innovation. There are an overwhelming number of shopping malls within Edmonton, which happen to include both the largest mall in all of North America and the first mall to have been built in the country of Canada. If malls are too big for your taste, you will be able to shop at several other retail centers that are smaller in size. Retail sales are at an all-time high in Edmonton and they continue to see consistent growth on an annual basis. Edmonton is home to many art galleries and museums that include the subjects of science and history in relation to the city and its many accomplishments. For those who are fans of old-school architecture, there are a series of buildings called "Municipal Historic Resources" that are legally protected from being tampered with. This allows many historic icons built in the early 20th century to be preserved for years to come. Amongst these structures there are many beautiful gardens that are maintained year-round. Edmonton is well known for its vibrant nightlife, which includes several clubs, movie theatres, and shopping malls that host a number of larger-chain retail stores and smaller local stores looking to make a name for themselves. If you are looking for a drink or a bite to eat, there areis an abundance of restaurants and bars to choose from. It really comes down to the dining experience that you are looking for. There are seven geographical sectors that divide and make up the city of Edmonton: The "mature area sector", North sector, Northeast sector, Northwest sector, Southeast sector, Southwest sector, and the West sector. Each of these sectors contains a respectable number of neighbourhoods that share some common characteristics. The mature area sector, which happens to consist of the central area of Edmonton that contains the Downtown area, refers to maturely developed neighbourhoods. Here you will find the major headquarters of many corporations, along with streets that are entirely dedicated to the promotion and support of nightlife facilities. Edmonton's north sector includes the districts of Castle Downs, The Palisades and Lake District, which are further subdivided into several smaller neigbourhoods. This area is best known for its nearby access to the city's major highways. Residents in this sector can live in a quiet neighbourhood while having easy access to the more urban areas of Edmonton. The northeast sector of Edmonton contains the following districts: Clareview, Hermitage, Pilot Sound, Horse Hill, and Casselman-Steele Heights. Entertainment options here include nightclubs, smaller bistros & pubs, and comedy clubs for aspiring and current comedians. Northwest Edmonton contains the fewest number of neighbourhoods, being a fairly rural area compared to the other sectors. You can expect to find casinos, movie theaters, and escape rooms for those looking for a fun group-oriented activity to partake in. Southeastern Edmonton is home to several parks that include plenty of room for outdoor hiking, and recreational space for various sports and activities. Other outdoor activities available to the community include tennis clubs and roads for bicyclists. The southwestern sector is located alongside the North Saskatchewan River, which gives residents the opportunity to participate in aquatic acitivites. Swimming, kayaking, rowing, and canoeing are some of the many things that people participate in. Wealthier individuals have their own boats that they bring to the river during the summer months. With major access to the city’s main highways, inhabitants are well connected to all of Edmonton’s other sectors. West Edmonton, on the other hand, contains a greater number of shopping centers, hospitals, community centers, and even the city’s main airport terminal. The mature area sector's design leads to a high density of prestigious high-rise condominiums that attract city workers and aspiring professionals. There are the occasional detached homes, but they exist on the outskirts of the downtown core. In the North sector of Edmonton, over half of the homes are fully detached homes that are built to accommodate single families, with the occasional duplex and apartment building made available for those who would like an affordable place to regularly pay rent. Edmonton's northeast sector contains a balance of semi-attached townhomes and detached homes that are relatively small in size. This is considered to be one of the more residential areas of the city. 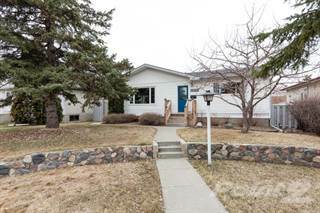 Northwestern Edmonton has an eclectic mix of older and newly developed homes depending on the neighbourhood of choice. In particular, you can expect to see a higher concentration of bungalows and mansions that happen to have backyards in close proximity to local lakes. If you go to the southeastern sector of Edmonton, it is mostly composed of single-family residences with a few row houses, duplexes, condominiums, and apartments for younger people who do not have a family of their own. The southwestern sector of Edmonton is mostly composed of modern singly family dwellings. The low population density within this area allows for a greater amount of space between each home. Edmonton's West sector includes a diverse mix of apartments (high rise and low rise), and fully detached and semi-detached homes. This is reflective of the fact that both commercial and institutional properties exist within this geographical sector. There are 10 post-secondary institutions, each offering hundreds of programs for its undergraduate and graduate students across a diverse range of subjects. Older students will be pleased to find that they have multiple avenues that they can take towards a successful career after they graduate from high school. Elementary schools (K-8) are abundant in the city of Edmonton, with approximately 140 of them across the city's districts. Alberta is known for scoring highest out of all the provinces for educational standards, and Edmonton's elementary schools are a shining example of this. When it comes to rankings, many Edmonton schools hold Top 50 rankings for standardized tests and overall quality of education. Notable schools include Mount Pleasant, Stratford, Westbrook, and Grandview Heights.